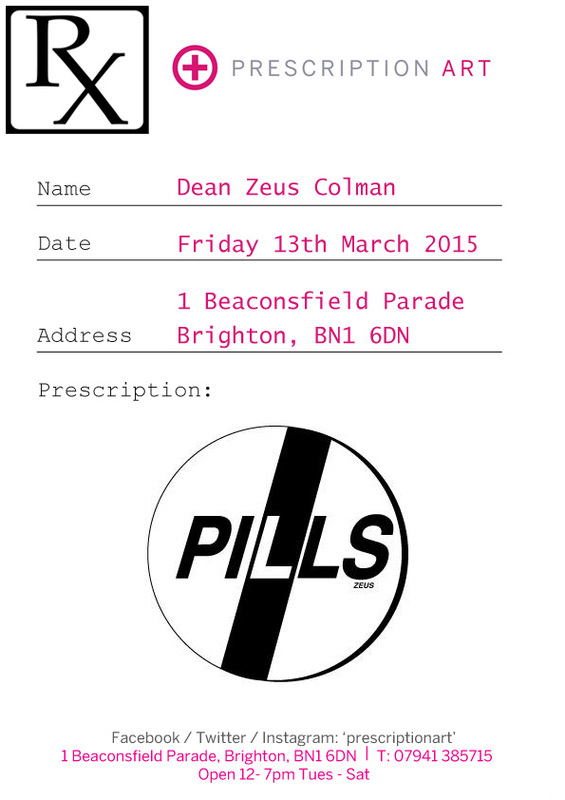 Announcing a new series of work, and solo exhibition by ZEUS! These 'Love Is A Drug' pills have been flying out since going online.. there are only 10 available of each design. They're hand-moulded, and hand-cast from plaster... and come framed & ready to hang on the wall for only £150. This is the precursor to a larger exhibition, opening here on 13th March. Please come down for the opening... it should be a right rave up!